Kyoto’s most elusive artists, widely known to the world as geisha, are the classic icons of Japan. Many of us are genuinely fascinated by this unique culture but very few actually have the chance to learn more about it. 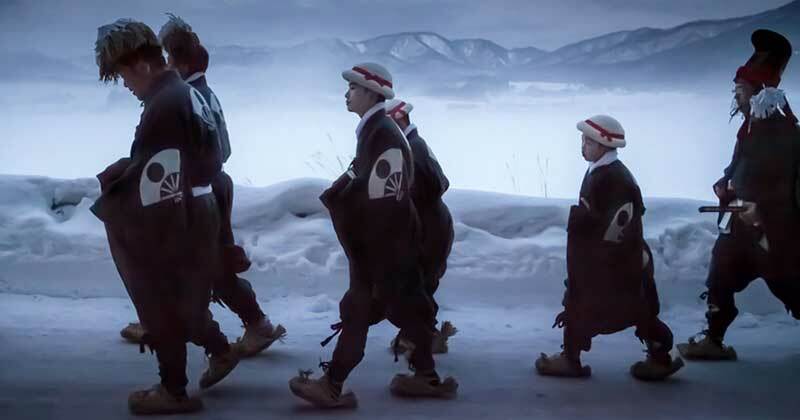 Robert van Koesveld is an award-winning photographer, who has taken on the extraordinary task of documenting these one-of-a-kind artists or Geiko and Maiko as they are referred to in Kyoto. This year, van Koesveld shared his insightful experiences in the latest issue of the illustrious Kyoto Journal. Japanese culture lovers will love this non-profit magazine, where you can follow van Koesveld’s incredible journey and other unique stories on Japanese craft. Japan Objects (JO): Can you tell me about how you got started photographing this extraordinary world of Geiko and Maiko of Kyoto? Robert van Koesveld (RvK): As a photographer I prefer documenting more in-depth stories where I can interview as well as photograph. Prior to my first visit to Kyoto I was certainly looking for a longer and deeper project, so I contacted a very experienced guide, Akie Watanabi. She was able to arrange for us to visit a maiko [apprentice geiko, or geisha] and her shikomi [assistant] so I could talk with them and photograph. I was fascinated by their intricate elegance, lifestyle and deep commitment to their artistic heritage. That shikomi went on to become a maiko called Tomitsuyu and I have since been able to interview and photograph her regularly over several years. Each visit to Kyoto expanded the opportunities to meet other maiko and geiko and their Kagai community [the area in Kyoto, “Flower Street” where geiko live and work]. Luckily Akie shares my enthusiasm for the world of geiko/maiko and their community and so we have worked together on this project over five years now. JO: These incredible artists are Kyoto’s cultural nerve center, and at the same time it is also an exceedingly private community. Can you tell me about your process working with them and how mutual trust is established? RvK: Arranged photoshoots were less usual when I began, especially for non-Japanese photographers. 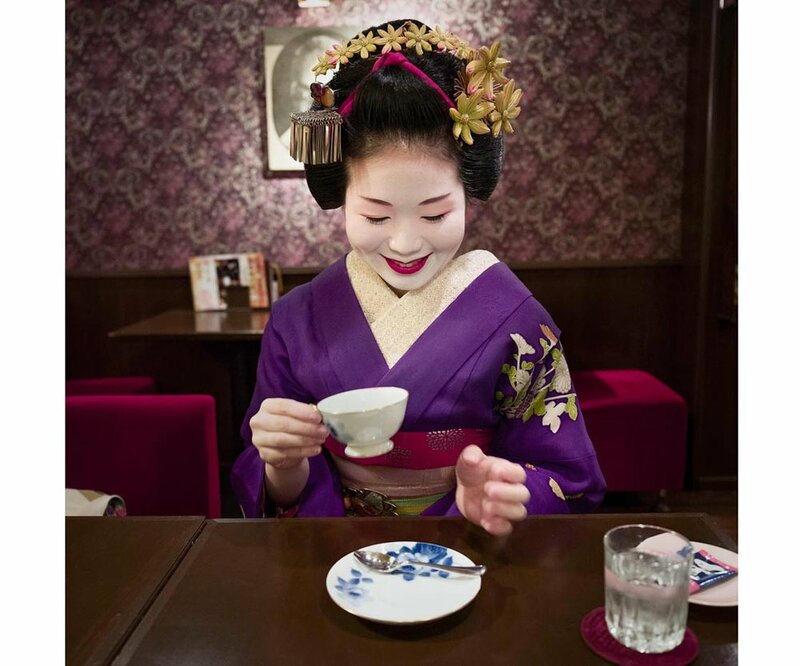 Now it is reasonably established that photographers, working with a suitable guide known to the Kagai, can book geiko and maiko for photo sessions, though in some districts, an established patron of the teahouse will need to act on your behalf. Where booking via a guide is possible it is another source of income that helps maintain the tradition. However, there are rules about where they can be photographed and obviously restraints on how images can be used. © Robert van Koesveld, Performing a Dance. This work will be on view at the See Geiko Exhibtion in Dubai in early 2018. RvK (continued): Trust takes time to build with the Kagai community. I was willing to return time and again and shoot more than once with each artist (and sometimes much more than once) so that helps build rapport. The title of my book Geiko and Maiko of Kyoto increased its acceptance amongst the Kagai community because it used the Kyoto word rather than geisha. JO: The photographs consist of great ‘of the moment’ portraits of geiko and maiko that really set your work apart. They highlight the artistry and the intricate skills that these women are well regarded for. What are some of the insights about these artists that viewers would gain through your photographs? RvK: My hope is that the viewer comes to see the deep artistry that comes from years of practice and the nurturing by okasan [proprietress of the house where the geiko works], sensei [teacher] and the Kagai schools and community. As a photographer, I am strongly guided in my work by my own felt response, which in this case is centrally about an artistry that is anchored in deep tradition. Some of my exhibition images also play with the way westerners may see geiko/maiko or geisha through the lens of film and popular culture. JO: Your photographs document a distinct time and place that reveal the ‘lived experience’ of your subjects. What captures your eye when you are shooting? RvK: While I have done some street style photography in the Kagai, most of my shoots are planned in detail. I have a good sense of what I am after, based on research and design before I come to shoot. When on site I try to work to establish the necessary atmosphere and coach the artist drawing on my long history of directing a kind of psychological theater. The role of my guide/interpreter/collaborator is of course crucial. I am very interested in the notion of presence which of course can ebb and flow during a shoot so I am alert to those moments when the particular qualities I am looking for are visible. Geiko and maiko are also actors and this can certainly help. © Robert van Koesveld, Maiko Syoko. This work will be on view at the See Geiko Exhibtion in Dubai in early 2018. JO: Your article Living in Kagai Culture in Kyoto Journal talks about the various art and craft industries that are kept alive through the culture of Maiko and Geiko. It’s an artistic ecosystem that has been perfected for centuries. Can you tell me a bit about that and how it relates to your own practice when you are photographing them? RvK: Many of the craftspeople I have met felt they would likely be the last of their lineage. I am interested in the subtle ways that rich traditions can be maintained authentically and vitally, as against the process of reduction to a sort of historical re-enactment or, worse still, a tourist show with costumed pretenders that one finds in some countries. RvK (continued): Central to authenticity is that traditions are embedded and respectfully held in a real community. The Kagai will find a way of continuing but the precincts are under threat from unmanaged tourism, gentrification and past indifference by the city. Culture is embedded in place as well as within individual and collective continuity. 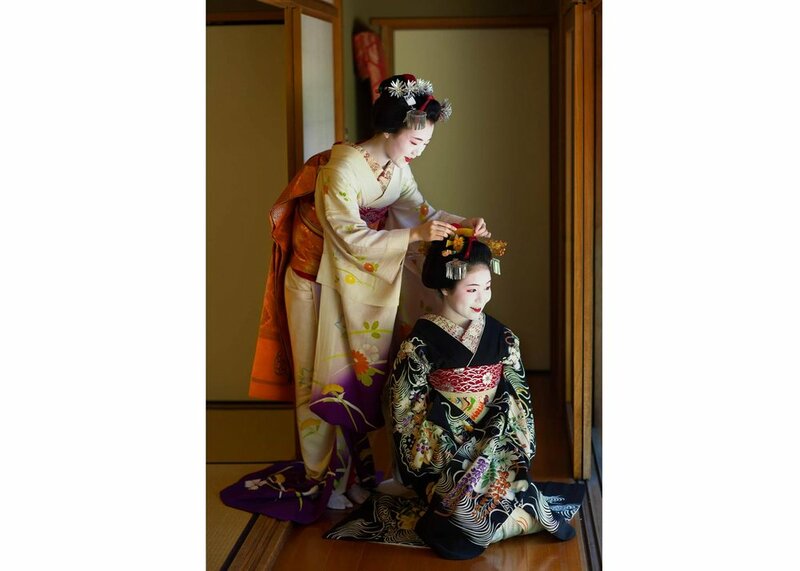 Robert van Koesveld’s Geiko and Maiko of Kyoto won the Canon-AIPP photo book of the year award in 2015. If you’re in Dubai in early 2018, you can catch his latest exhibition Seeing Geiko at The Empty Quarter Gallery , or you can visit him robertvankoesveld.com. To read his article on the artistry of Kagai, and other fascinating aspects of Japanese culture, get the new issue of Kyoto Journal. Do you have any questions about Geiko and Maiko? Tell us what you think in the comments below!